It's often difficult finding time to buy groceries. It's an added challenge making sure that everything you buy is of great quality, organic, and local. But a 13-year-old company that recently came to Chicago aims to help solve all of those grocery issues. The concept behind Door-to-Door Organics is simple, and the service is pretty much explained in their name. "You go online to chicago.doortodoororganics.com and place your order. We want to simplify the process and make good food easy to get," said the company's president, Chad Arnold. The company provides not only good food, but also helps support local companies. "As far as local stuff, we carry Milk and Honey Granola, Metropolis coffee, Co-op hot sauce and we are always looking for new stuff," explained Location Director Bret Ebel. Arnold said orders are shipped as soon as possible when they come in. "Food has been simplified for so long and simplified to a point where our health is starting to suffer. Certified organic is really a way to bring back simplicity. Fast food is easy, but the reality is an apple is pretty easy too," he said. 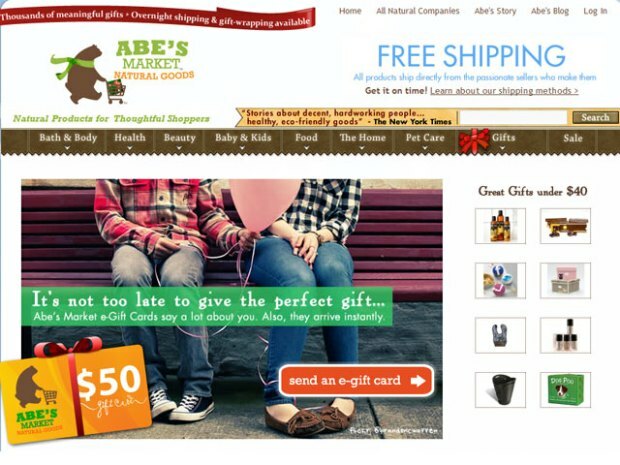 AbesMarket.com lets you meet the people behind locally produced and environmentally friendly products. But Door-to-Door Organics doesn't want shoppers' relationship with them to end once the goods are delivered. "Part of that good food equation is really trying to be connected with people after the food hits their home. We do have recipes on our website. We try to be engaged with people at that level and we are really putting a lot of time and effort now into focusing how people use that food and to talk about where that food came from," said Arnold. Door-to-Door says they are competitively priced and even beat Whole Foods pricing at times. Going Green For Your Body! The Cheeky Girls check out Green Corner and all of its healthy homemade drinks. And there's an incentive to spread the good word. "If you signed up and said, 'Oh my neighbor and coworker would love it,' you can send them an invitation where they get 50 percent of their first box," said Ebel. For now, aside from the grocery items and produce, Door-to-Door plans to expand to local meats and dairy by summer 2011, as they do in some of their other regions. The company launched in Pennsylvania but also has operations in Colorado, Kansas City, Michigan and along the East Coast. It launched in Chicago last October.